It is interesting but every time my posts have the title to be kind, the opening rate is lower. This is a risk I am willing to take because I believe it is necessary to remind you every once in a while how important it is to be kind to one another – especially if you want to work better together. If you opened this post today, you can really make a difference at your workplace. In a world where we experience so much hatred, violence and divide, every small act of kindness counts. I realize that it is a difficult concept to grasp to be kind to people who may be rude, impatient and/or frustrated with you. However, if you get upset, how does this affect your health and well-being? Some people believe that by making other people wrong and putting them down, they will start feeling better about themselves, which is rarely the case. There are times when I have to deal with aggression in my workshops. These are usually the people who are so frustrated with their life that everyone who crosses their path seems to be their target. Here is how I deal with it. I take a deep breath and remind myself that this isn’t about me. I become very curious. I ask open-ended questions and listen. I show an interest in them and their perspective. I avoid making them wrong. I ask what I can do better for them. In 9 out of 10 cases people tend to come around, and open up about what “really” bothers them. When people start trusting you, you have a great opportunity to make things better. 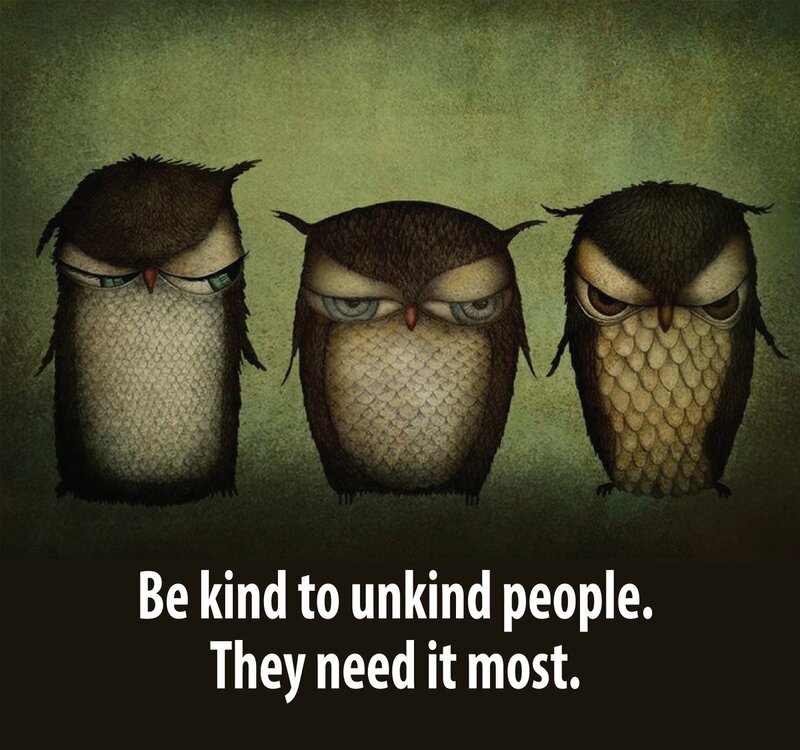 Kindness is a very effective tool. Use it. Why allow others to put their misery on you?